/ The Earth Is Becoming Green 4/4 (Welsh Folk Song) Lyrics and chords fit Siwsann George’s version from her album ‚Traditional Songs of Wales / Caneuon Traddodiadol Cymru’. The sheet music and tin whistle notes are included. 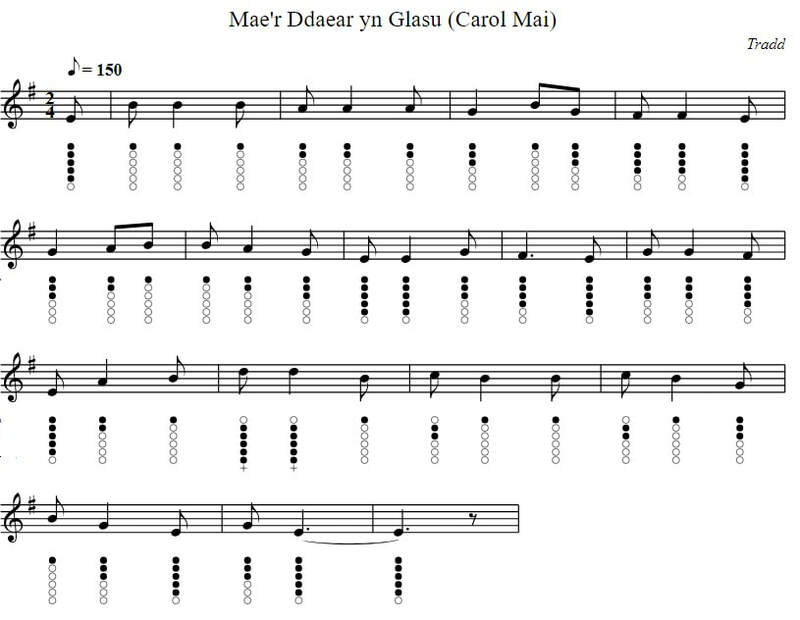 A may carol in the „tri thrawiad“ metre popular in the 17th and 18th century Wales.